The Cathedral of Notre Dame in Chartres was founded in the 11th century. The original building was destroyed by fire in 1194 and the current cathedral was built in the mid 13th century. Chartres Cathedral is an example of high Gothic architecture with unique stained glass, statuary, and Renaissance choir screens. The monastery was founded in 96 AD by 12 Benedictine monks, as a sanctuary dedicated to St. Michel. It is perched on a small granite islet well known for the dramatic tides that course into the bay. The fortified village of Vézelay is dominated by the abbey church of la Madeleine founded approximately 875 AD and is built mainly in the Romanesque style. The 3 door portal carved between 1125 and 1130 is an example of early Romanesque art. In 1146, the Second Crusade was preached here by Saint Bernard, and in 1217 the first Franciscan building in France was established on this site. There are 16 sites included in this listing which follows the course of the Vézère river. The first remains of Cro-Magnun Man were found here, and there are signs of continuous occupation for up to 100,000 years. The cathedral is the largest in France. It is 133m (435ft) long and 65m (213ft) wide. Built in 3 levels, it reaches a height of 42m (138ft). Founded in 1188, Fontenay developed into one of the most prosperous of the Cistercian monasteries. It became a royal abbey and had as many as 300 monks in the 14th century. Some of the earilier buildings in Arles date from the reign of Augustus (1st century BC). Eight of the buildings or monuments that are of importance are: 1. the arena; 2. the ancient theatre; 3. an underground gallery called the Crypto-Porticus; 4. the thermae of Constantine (heated baths); 5. a necropolis called the Alyscamps; 6. the church of St. Trophime; 7. Montmajour abbey; 8. misc. ruins including stonework from an old fortress. The ancient theatre of Orange is one of the best preserved of all the great Roman theatres. It was built between A.D. 10 and 25 during the reign of Augustus. 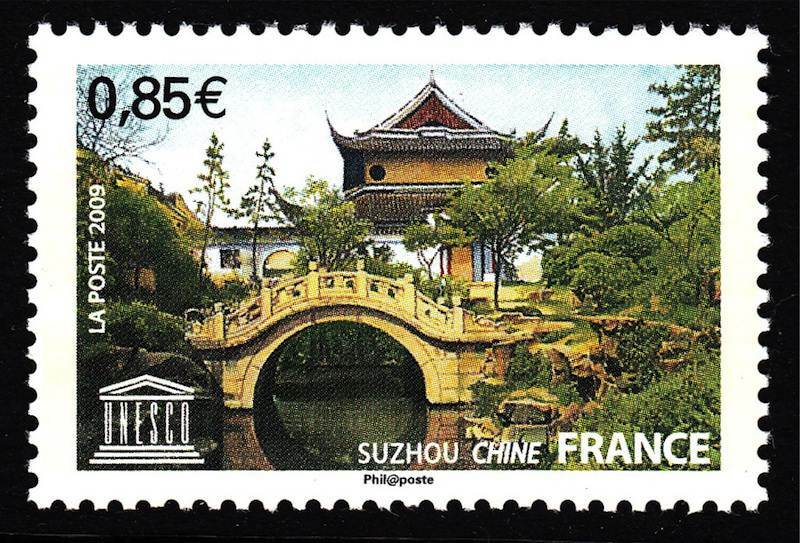 Created by Claude Nicolas Ledoux, construction began in 1775. Site has been extended to include the Great Saltworks of Salins-les-Bains. A monastery was first founded on this site in 811 AD by Charlemagne. Construction of the abbey commenced around 200 years later. It was destroyed several times, until the Benedictine monks of St. Maur rebuilt it in 1640. There are several exceptional murals within this complex, notably those dating back to the 11th century which depict scenes from Genesis and Exodus. Located in Languedoc-Roussillon, this aqueduct was built around 20 BC to supply water to the town of Nimes. The section of the Seine in this listing is based on the age-old distinction between Paris upstream and Paris downstream; upstream is the port and the center of commercial river traffic, downstream, the area encompassed by this listing, is the heart of aristocratic Paris. 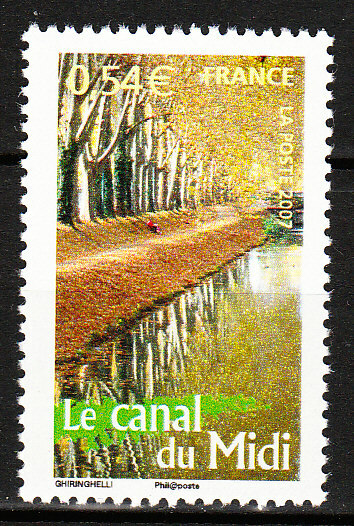 The area is bounded by Pont de Sully and Pont d'léna and includes Ile de la Cité and Ile Saint-Louis. Connects the Mediterranean Sea to the Garonne River & thus to the Bay of Biscay. 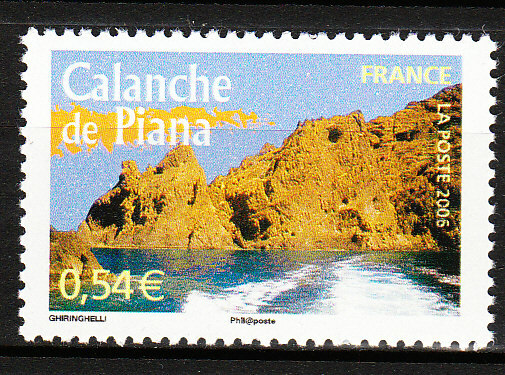 Spanning the borders of France and Spain, this mountain landscape is centered around the peak of Mount Perdu (3,352m). The area is an exceptional landscape devoted entirely to wine-growing, with many fine historic monuments in its towns and villages. The 32 belfries in Flanders and Wallonia in Belgium are imposing bell-towers of medieval origin, generally attached to the town hall and occasionally to a church. In addition to their outstanding artistic value, the belfries are potent symbols of the transition from feudalism to a mercantile urban society. The site was extended to inclued 23 belfries in the north of France plus the belfry of Gembloux in Belgium in 2005. See more links in the Belgium World Heritage section. The Château and Estate of Chambord, inscribed on the WHL in 1981, is part of the Loire Valley -- (47.62 N 1.53 E). Famous for its wine, this port city in south-west France has more protected buildings than any other French city, except Paris. The site includes six marine clusters that represent the main diversity of coral reefs and associated ecosystems in the French Pacific Ocean archipelago of New Caledonia. Villages and substantial stone farmhouses on deep terraces of the Causses reflect the organization of large abbeys from the 11th century. Mont Lozere, inside the property, is one of the last places where summer transhumance is still practiced. 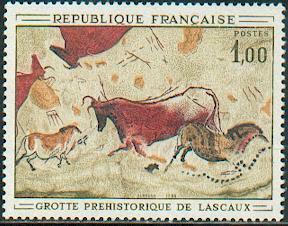 Known as Grotte Chauvet-Pont d'Arc, Ardeche, the property contains the earliest known figuarative drawings in the world, dating back to the Aurignacian period (30,000-32,000BC). Rock fall kept the site sealed until its discovery in 1994, helping to keep it in pristine condition. The property is made up of: the historic vineyards of Hautvilliers, and Mareuil-sur-Ay, Saint-Nicaise Hill in Reims, and the Avenue de Champagne and Fort Chabrol in Epernay. These three components illustrate the entire champagne production process. This site is an example of grape cultivation and wine production developed since the High Middle Ages. Located on Ra'iatea Island in French Polynesia, Taputapuatea is a ceremonial and funerary center or marae complex.